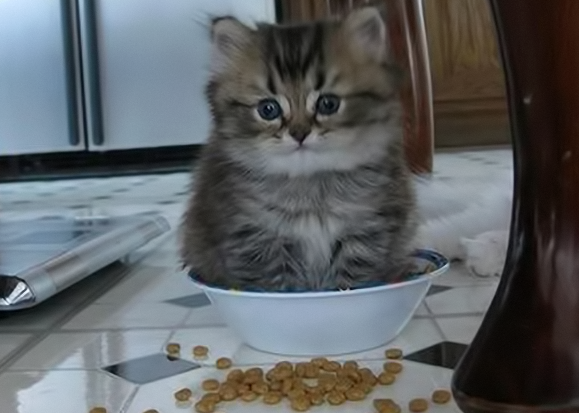 Ifs it fits, I sits. Even ifs I has to dump my kibble on ther floor firsts. A little dusts from ther floor gives ther kibble thats al fresco tastes anyways.